The kindergarten, for children aged 4 to 6, has continued with healthy numbers, between 80 and 90 children, over the last year. 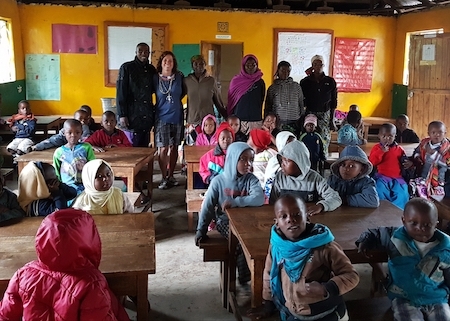 The school benefits from the continuity and dedication of the three teachers, Suzana, Leah and Elias who have been with the school for many years. Elias started when the school opened in January 2002, 15 years ago. Special mention also goes to Ester and Naishiye who cook the porridge and assist in the classrooms. The 2015, ‘Three Peaks Fundraiser’ by the Malaysian students studying in the UK, raised a total of £5000 and this has enabled ACT to continue to run the kindergarten by providing daily porridge, educational materials and teachers’ salaries. See here for details of their amazing challenge. The community centre is used by several different women’s groups. These groups are cooperatives whereby the women help each other to start small businesses. Each member contributes a small amount of money each week. At the end of the month some members are chosen to receive between £20 and £40 to start a small business. They mostly aim to sell vegetables and fruits which grow well in their environment or to buy a few chickens to start an egg business. 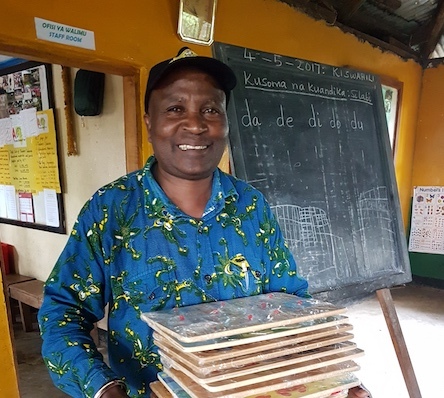 Ole Supeet is both director and ACT volunteer for the community centre and has the responsibility for buying the school supplies. Ole is an active member of the community who organizes parent meetings and encourages their involvement in the school. He retired as head teacher of the nearby primary in December 2016. ACT has supported Olmuringiringa Primary for many years by building a classroom, teachers’ houses and supplying desks and sports equipment. Footballs and netballs were donated in February 2017.